As a student you are interested in doing your homework fast and effectively. Mission impossible, right? However, there is a way out for you. The Internet provides thousands of useful resources which, of course, you can take advantage of, but proceed with caution. Some of these websites may turn out to be unreliable. You should learn how to use and quote online sources properly. Wikipedia for example. It’s a nice resource for those who study and work – you can read about almost anything anytime online. Although the name sounds a little bit like an encyclopedia, it is different. One needs to remember a few things before using Wiki entries, listed below. What is a Wikipedia website? 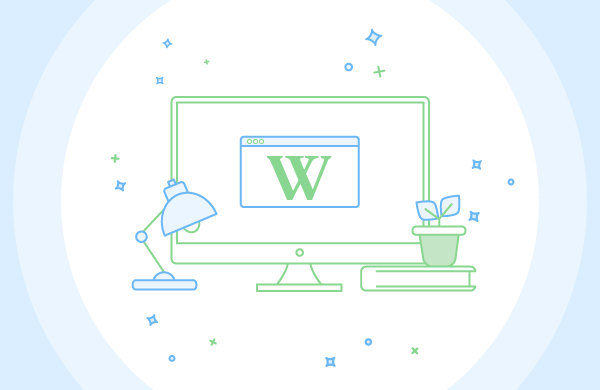 Wikipedia content is created by other users, just like you. Some of them are professionals, some are amateurs. You never can tell just who gathered the materials for the Wikipedia articles. And who edited them? Ultimately, who’s a fact checker? Whoever. There is no obligatory quality check and some of the information is just plain false. Wikipedia is probably okay for middle school essays, but be prepared for your professor not agreeing with your giving references to Wikipedia in thesis or term papers. Wiki seems to be much too general. Which is okay if you’re going to check on a particular movie or sports star. For more serious research, for example investigating the civil rights movement in the United States, you’ll need to deepen your search for more credible sources. Wikipedia material can often be subjective and biased, presenting information from certain points of view. Most authors try to do their best to present data as objectively as possible, but sometimes they fail to do it without bias. Wiki articles you’ve cited can easily vanish the next day. When doing your research, you might want to take into consideration everything mentioned above. If you decide to use Wiki while writing your essays or papers, check out the list of tips below. Any article in and of itself is rather general, but it has hyperlinks to other articles. This is useful in finding new ideas. As you may have already noticed, Wiki entries contain references to original sources, used for the actual article. Feel free to click through to find extra theme specific information. The actual article can be a part of WikiProject. To check it, please click a Discussion tab. If yes, it means that people dealing with the entry are deeply concerned about the subject, and the article is on its way to perfection. A team of reviewers usually checks WikiProject articles and rates them accordingly. Of course, it cannot guarantee you high quality, but at least you know somebody was working on it. Wikipedia gives you an amazing chance to learn something new and provides sources you can check, in case you are interested in a peculiar topic. Now, having considered all the pros and cons of Wikipedia usage, you are better able to decide what strategy to use.